Onboard 24-track internal digital recorder. 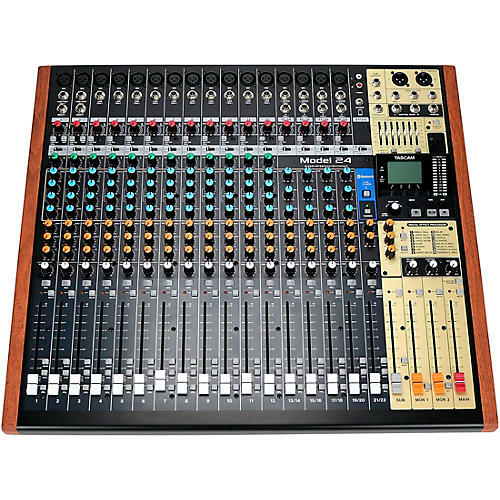 The Model 24 is a powerful, versatile, hybrid mixer for both live and recording that integrates a full-featured 22-channel professional mixer, a 24-track internal digital recorder, and a 22 X 24 USB audio interface. Model 24 is perfect for performance, recording, or both simultaneously. Get control of your mix—order today.